All in all, it’s been a successful season thus far for the Raptors, as they sit in second place in the Eastern Conference with a 51-22 record. 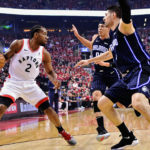 The focus, however, is very much on the post-season, as this is the best and deepest Raptors team in franchise history. Trades this past off-season and trade deadline have signified that the team is all-in and that this is the year to truly contend for a title. With that said, there are some questions for the Raptors in these final 3 weeks of the regular season. What Does The Playoff Rotation Look Like? 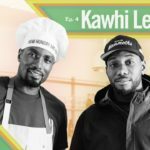 The Raptors depth is convenient for the long 82-game regular season, but come playoff time, no longer will you be able to afford playing 10-11 guys per night. Typically, teams go to a 8 or 9 man playoff rotation. Assuming everyone is healthy, who is the odd man out? 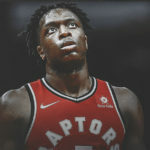 Part of it may depend on who the opponent is in the 1st/2ndrounds, but I think it is safe to say that Kyle Lowry, Danny Green, Kawhi Leonard, Pascal Siakam, Serge Ibaka/Marc Gasol, and Fred van Vleet are the top 7 guys, so the question is who out of: OG Anunoby, Jeremy Lin, Norman Powell and Patrick McCaw fills out the rotation? Can the Raptors Catch the Bucks for the 1 seed? With 10 games remaining, the Raptors are 2 games behind the Bucks in the loss column, but 3 back when considering that the Bucks own the tiebreaker. Though not impossible, it is definitely a difficult feat. The Bucks are looking somewhat vulnerable, especially considering that they are dealing with important injuries to Malcolm Brogdan and Nikola Mirotic, but if they can win half of their remaining games, that will likely be enough to clinch the 1 seed. Home court in a potential 7 game series against Bucks in the Eastern Conference finals would be enormous for the Raptors, but unless they win all of their remaining games, it’s hard to see them finishing atop the Eastern Conference standings. Somewhat related to the previous topic, is the question of rest versus rust. Going into the playoffs healthy is the primary goal, however, sitting out your key guys for extended games can be risky, too. 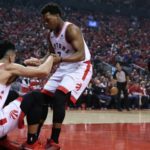 If the Raptors are alive in the hunt for the 1 seed, you will likely see the starters continuing to play every game, but if they fall too far behind the Bucks, then in the last couple of games, you may see the starters getting nights off. It continues to be a fluid situation at the starting 5 spot with Ibaka and Gasol rotating in and out of the lineup, depending on matchups. With the most likely 1stround opponent being the Brooklyn Nets or Detroit Pistons, my assumption is that Gasol would start versus the Pistons to match up with Andre Drummond and Ibaka would start versus the Nets to match up with Jarrett Allen. On a side note, during stretches of games, the Raptors have been experimenting, to some success, with Siakam at the 5. Keep an eye out for more of this in the next little while. 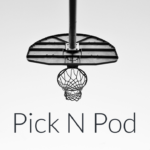 Is Siakam Still a Lock for Most Improved Player? DeAngelo Russell is making it a very close race, but I think Siakam is still the front-runner. If he doesn’t win the award, a riot may break out in Toronto.